Do I Have a Gambling Problem? 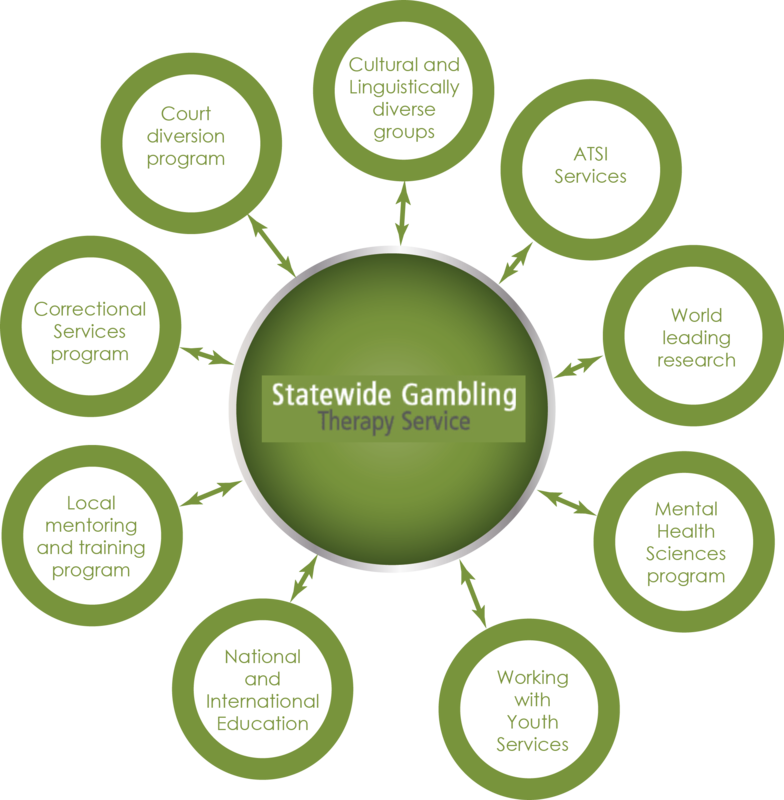 Over the last 15 years the Statewide Gambling Therapy Service has developed a world leading gambling treatment service. This service integrates world leading clinical practice, education and research. We offer a unique approach to problem gambling treatment using Cognitive Behavioural Therapy which emphasizes graded cue exposure and response prevention. This approach has been developed through years of research by both the Flinders University and the Statewide Gambling Therapy Service. The Statewide Gambling Therapy Service is an innovative service which leads the world in the quality of evidence-based care people receive. The service was founded by Professor Malcolm Battersby who was trained by Professor Isaac Marks at the Institute of Psychiatry in London in Cognitive Behavioural Therapy for anxiety disorders. The service was established in 1996 (originally as the Intensive Therapy Service) and in 2006 was awarded the Statewide Gambling Therapy Service funded by the Gambling Rehabilitation Fund from 2007. Our funding is administered by the Office for Problem Gambling within the Department for Communities and Social Inclusion. Statewide Gambling Therapy Service’s graded cue exposure technique has been tested and found to be extremely effective in the treatment of problem gambling. These findings have been published in the highest level of international academic journals. The benefit of years of development and investment into this innovative model has meant that the Statewide Gambling Therapy Service has been successful in winning numerous grants to lead key initiatives in the field of problem gambling. At this stage, Statewide Gambling Therapy Service is only funded to provide a service to South Australian residents. If you do not reside in South Australia and need to get in touch with your nearest service please call the National Gambling Helpline on: 1800 858 858.